Daniel S. Kirschner is a partner at the Chicago plaintiffs’ law firm of Corboy & Demetrio. As a trial lawyer, Mr. Kirschner represents victims of catastrophic personal injury, wrongful death and medical malpractice. Mr, Kirschner has successfully handled cases against many of the nation’s largest insurance companies and corporations at the pretrial, trial and appellate levels in state and federal court in Illinois and throughout the United States.Mr. Kirschner concentrates his practice in cases involving aviation disasters; trucking, motor vehicle and highway collisions; railroad crossings and derailments; construction; premises liability; product liability; medical malpractice; pedestrian and bicycle collisions; school and governmental liability; public transportation (taxicabs and buses); animal control (dog bites); toxic tort and chemical exposure; crib, toy and other infant and children’s safety recalls; brain damage and spinal cord injury; hospitality and tourism industry; and liability for third-party criminal acts and sexual assault.Mr. Kirschner currently serves on the Illinois Supreme Court’s Committee on Jury Instructions in Civil Cases, and previously served appointments to the Illinois Supreme Court’s Rules Committee and Committee on Character and Fitness.Mr. Kirschner, a staunch advocate for children’s safety, was appointed by Governor Pat Quinn in 2010 to serve on the Illinois Carnival Amusement Safety (CAS) Board. From 2012 to July 2015, Dan served as Chair of the CAS Board.Mr. Kirschner has received numerous accolades, including being named to the list of "Leading Lawyer" and "40 Under 40 Attorneys to Watch in Illinois" by the Law Bulletin Publishing Company. Mr. Kirschner also earned the designation of "Super Lawyer" and "Rising Star" by Thomson Reuters. In addition, in 2005 he received the President’s Award for "Advocate of the Year" from the American Cancer Society for his advocacy work in successfully advancing the Chicago Indoor Clean Air Ordinance, known as "Smoke-Free Chicago. "A graduate of IIT Chicago-Kent College of Law, Mr. Kirschner received the CALI Award from his alma mater for Excellence in the study of medical malpractice. He is a Past-President of the Chicago-Kent Alumni Board of Directors and a recipient of the Young Alumnus Award the Chicago-Kent Law School Association.Mr. Kirschner is an active member of many bar associations. 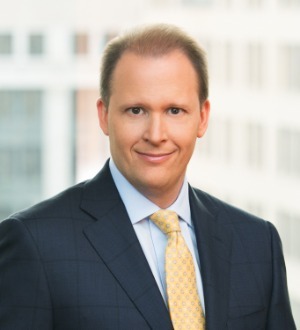 He is a past Co-Chair of the Young Lawyers Committee of the Illinois Trial Lawyers Association and served as an investigator for the Chicago Bar Association’s Judicial Evaluation Committee. He has organized, moderated, and lectured at numerous continuing legal education seminars for practicing attorneys and is regularly called upon to judge moot court and trial advocacy competitions.Mr. Kirschner has served on the boards and committees of numerous community, charitable and educational institutions, including American Cancer Society, Chicago Community Trust, Abraham Lincoln Marovitz Lawyers Lend-A-Hand, Greater Chicago Food Depository, Onward Neighborhood House, IIT Chicago-Kent College of Law, University of Chicago Laboratory Schools and K.A.M. Isaiah Israel Congregation. Illinois Institute of Technology, J.D. University of Wisconsin - Madison, M.A.